Within a complex territory surrounding the Massimago hills, our organic extra virgin olive oil is produced from 1200 olive trees, located on various terraced parcels of land (named: olivara vecia, le terase, le bianchette and olivara nova). We grow our indigenous cultivars: Leccino, Nostrano and Grignano, at the extremes of the borders of olive tree-growing area (over 45° parallel). Famous for its high levels of polyphenols and vitamin E, which bring plenty of dermatologic and cardiovascular benefits, Grignano is considered the authentic expression of the Veronese territory. Between the end of October and the beginning of November, the olives are hand harvested with the only use of nets and shakers. The immediate cold pressing process will produce a cold fresh olive juice. The aromas are fruity and intense with vegetal hints. The flavours of tomato and almond are rich and mouth-filling. 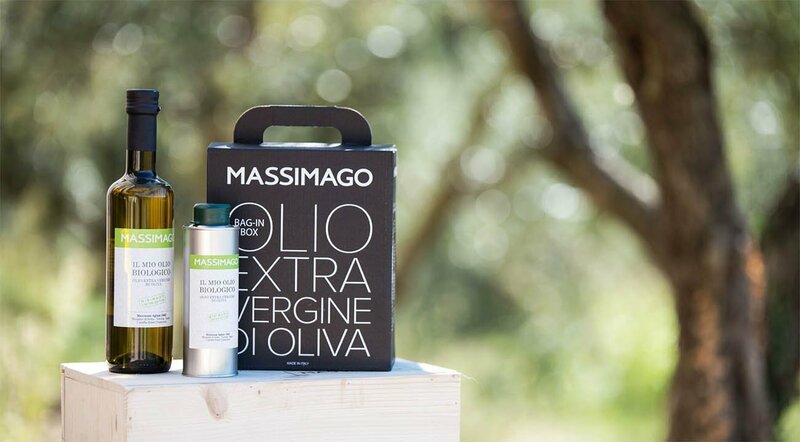 Massimago extra virgin olive oil is a high-quality product, unique also for it’s authenticity, and is dedicated to gourmets and connoisseurs. Bottle 0,50L: The perfect size, for the best culinary pairings with rich salads and fine foods. Bag In Box 3L: The family size offers the best protection from oxidation. The vacuum effect of the bag prevents the oil from having contact with oxygen, maintaining freshness for a longer time. The box protects the oil from light. The small measuring tap will help you serve this oil directly for any preparation and purpose. This format size is compact, recyclable and convenient.